His Majestys Sagbutts & Cornetts (named after a reference in Matthew Locke’s music for Charles II’s 1661 coronation) celebrated their 35th anniversary in style with an impressive concert in St John’s, Smith Square, a few yards from the site of Charles II’s coronation and a short walk from the site of their debut concert in St Martin’s-in-the-Fields. It says something for their early promise, and the recording industry of the early 1980s, that they were offered a recording contract during the interval of that concert. Times have changed in the recording world, but HMSC continue to reinforce their reputation as pioneers of period instrument and performance practice. Two of the original members were playing (Jeremy West and Stephen Saunders), and several more were in the audience. They have replenished themselves over the years, and now include one player who is younger than the group. They also brought in two recently graduated sackbutt players for the 8 and 10-part works that concluded each half. Those that have followed the Gabrieli Consort and Paul McCreesh over the years will know that they rarely do things by halves. In their early years, this included such seminal recordings as, for example, their 1994 reconstruction of a Lutheran Christmas recorded with massed forces in Roskilde Cathedral, the latter chosen because of its important historic organ. In recent years they have built close connections with the National Forum of Music in Wroclaw, Poland. 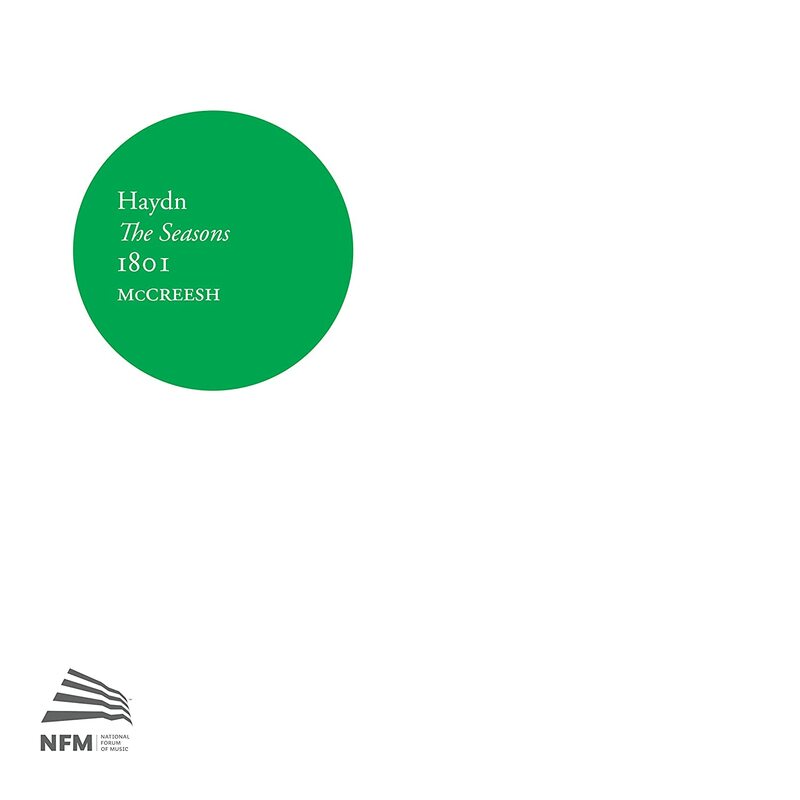 This much heralded recording of the 1801 version of Haydn’s The Seasons is the latest of those collaborations. The opening thunderous wallop on the timpani will warn you that this is a recording of some drama and punch. Using a new performing edition (and English translation) by Paul McCreesh this is the first recording to feature the large orchestral forces that Haydn called for in some of the early performances, with a string section of 60, 10 horns and a choir of 70, using the combined forces of the Gabrieli Consort & Players, Wroclaw Baroque Orchestra and National Forum of Music Choir. Giovanni Gabrieli: Canzon X à 8, Canzon II á 4, Omnes gentes plaudite minibus; Andrea Gabrieli: Domine ne in furore; Claudio Merulo: Sanctus à 16; Alexander Campkin: Colour Blinds the Eye; Adrian Willaert: De profundis; Barbara Strozzi: Salve Regina; Dario Castello: Sonata Duodecima – Libro II; Giovanni Rovetta: Domine Deus noster; Jan Sandström: Acqua alta.